Made in the USA, HY-C Animal Control products prevent animals from entering attics, crawl spaces and vents where they can destroy wiring, cause leaks and do severe damage to homes. HY-C Raccoon Screens offer a reliable solution to pest exclusion. With tamper-proof bolt-on attachment method, animal pests are unable to remove the screen to gain access to the chimney liner. 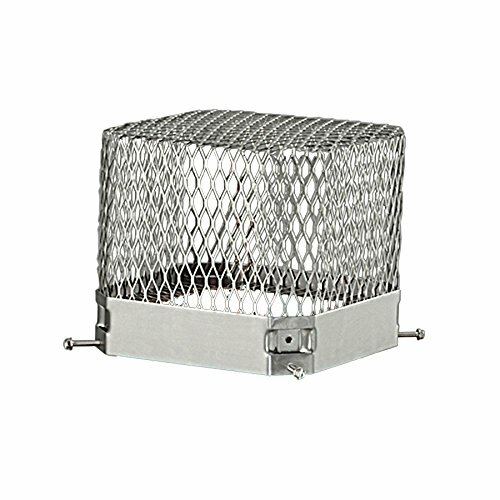 Constructed of 100% 304 stainless steel, 18 gauge 5/8" expanded metal mesh and a durable 16 gauge stainless steel base.